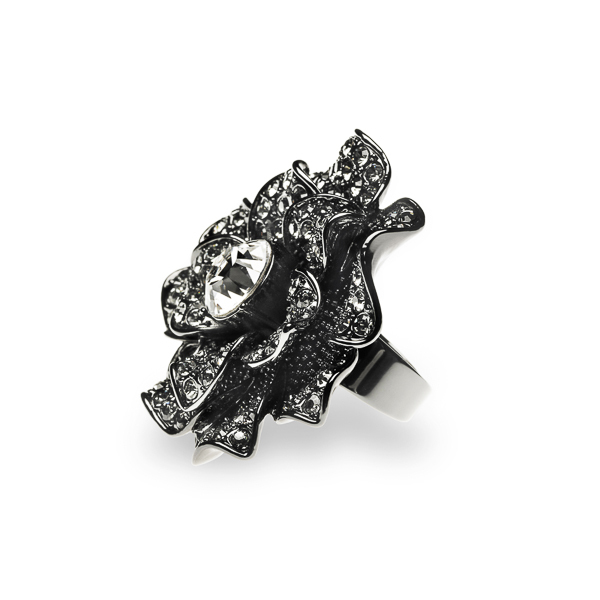 Description: The Camillia crystal statement ring is one of the very first Amabel pieces. 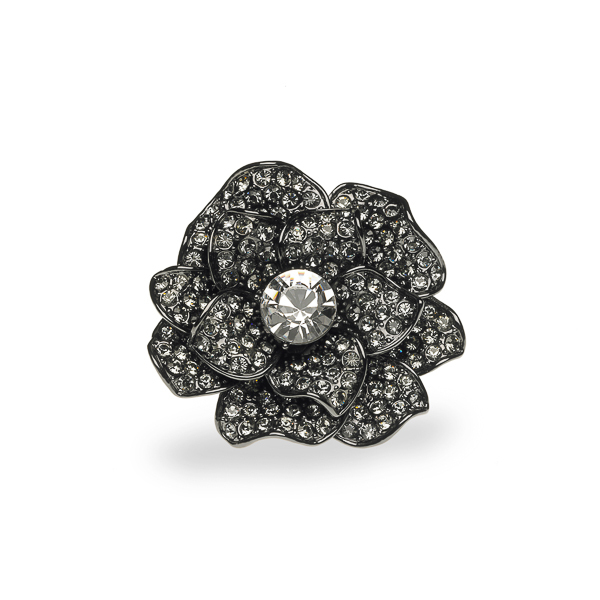 This gorgeous black rhodium and crystal ring will surely steal the show. Sculpted petals with pave' set crystals surround a diamond cut glass stone center. This ring is adjustable and fits most. Material and Measurements: Black Rhodium Plated Base Metal, Diamond Cut Glass Stone, Crystals - Focal Point 2" X 2"
Enter Quantity for R-AE001 to add to your shopping cart.